Just as ships moving through the water create a wake, aircraft moving through the air create one as well. Wake vortices from aircraft often go unseen, but the wake turbulence they create can have severe consequences for aircraft if pilots are not aware. On departure and approach, the distance separating aircraft is based on their wake turbulence category, which increases with an aircraft’s maximum take off weight. Aircraft are spaced by air traffic control to mitigate wake turbulence, but controllers will often warn following aircraft if they should be aware of wake turbulence. In the United States, a controller might tell an aircraft, ‘Flight 123, cleared to land runway 10. Caution wake turbulence, following a Heavy Boeing 777’. This keeps the pilots aware of any possibly wake turbulence they may encounter. 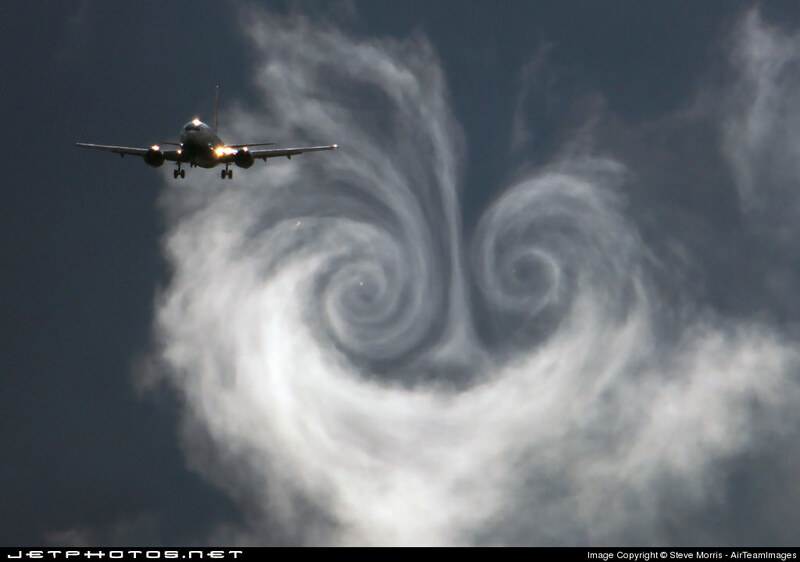 Visible wake vortices created by a British Airways 737 approaching Gatwick Airport. 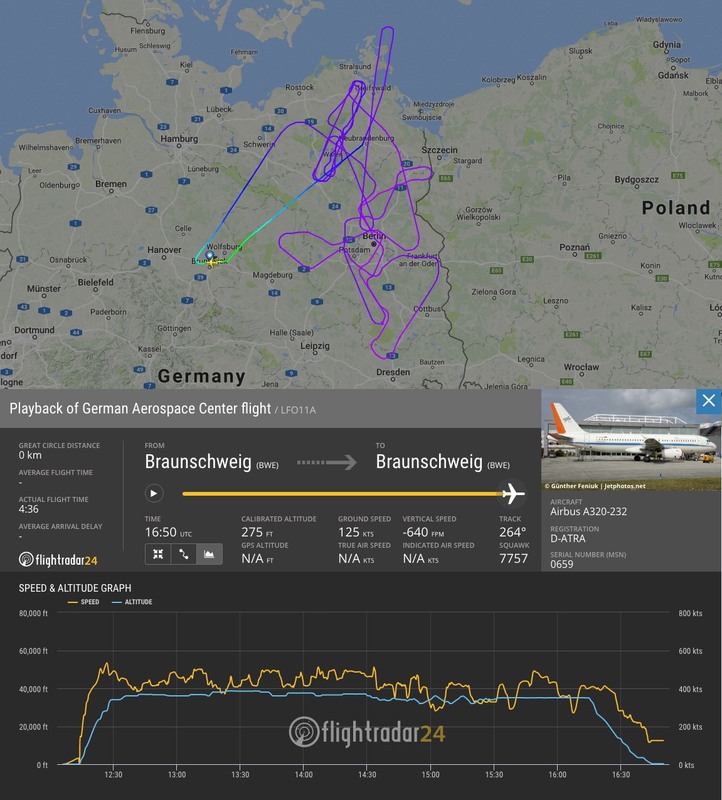 The German Aerospace Center (Deutsches Zentrum für Luft- und Raumfahrt; DLR) is currently in the second phase of testing a wake turbulence warning system in flight experiments using its Advanced Technology Research Aircraft A320, D-ATRA. 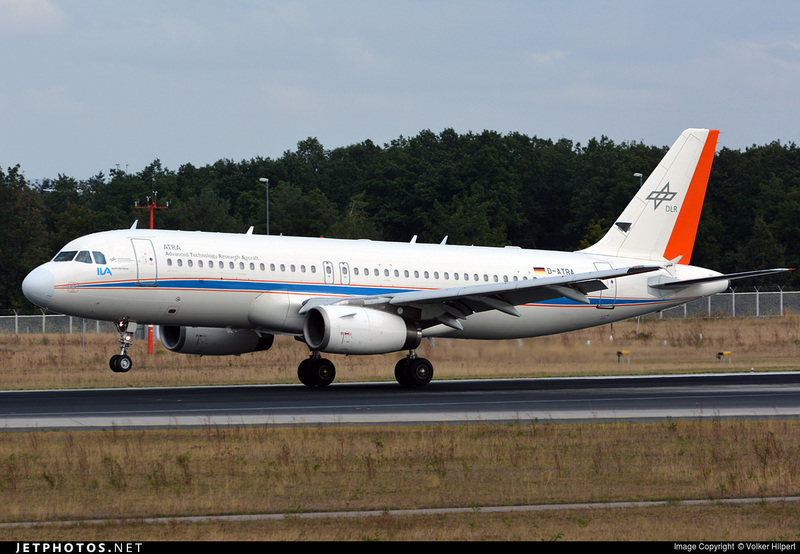 In 2014, DLR performed the first phase of flight experiments with its A320 and Falcon aircraft. According to the DLR, the system can ‘predict potentially dangerous wake turbulence using just the positional data and weather information from a preceding aircraft’. To follow future test flights, track with registration D-ATRA or use callsign filter ‘LFO’.